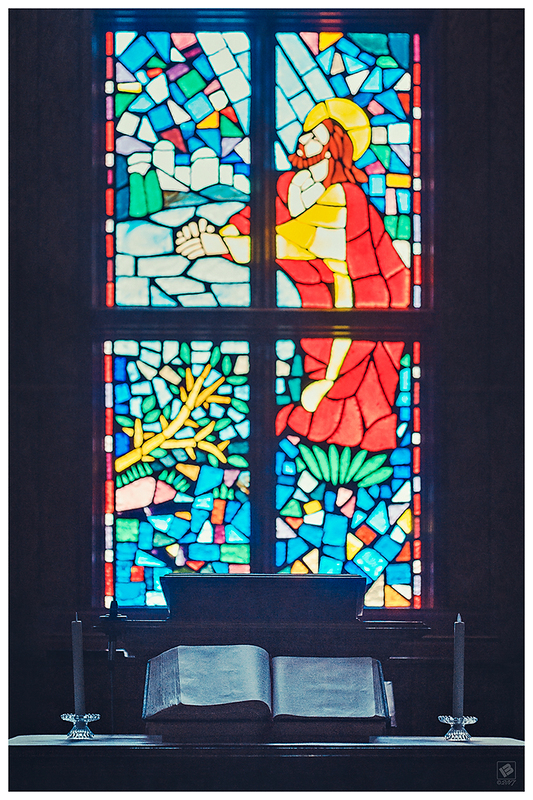 I’ve always loved the stained glass window in the front of the sanctuary at Mt. Gilead United Methodist Church. It extends further up toward the ceiling, but I only included the bottom portion when I composed the shot. This was taken while attending the Homecoming service back on June 4, 2017. This entry was posted in Randolph County, Still life by Matt Bennett. Bookmark the permalink.